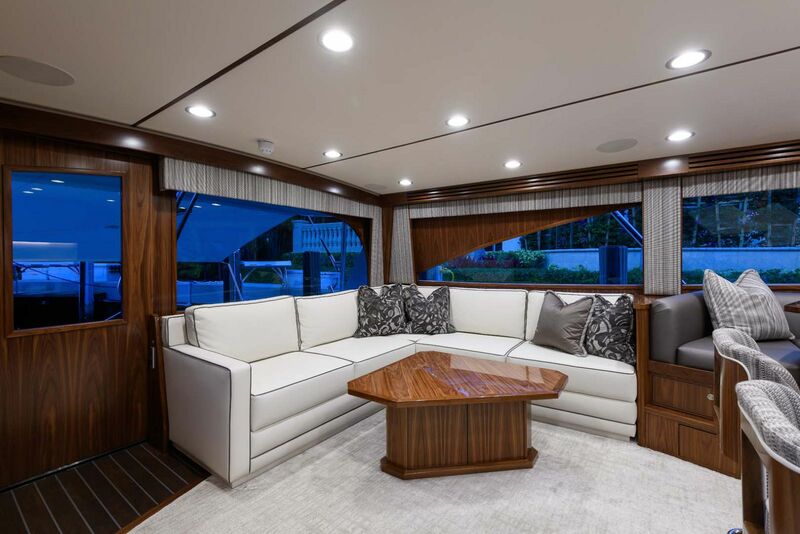 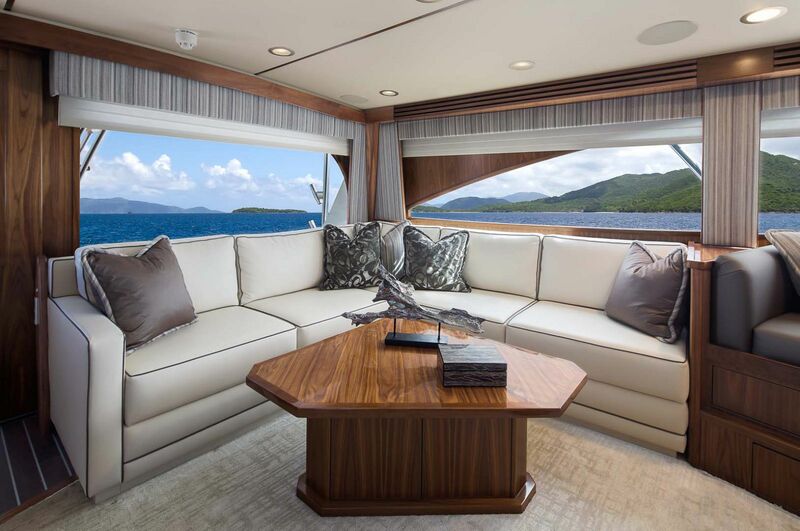 The brand-new Viking Yachts 68 Convertible made its public debut at the 2018 Miami Yacht Show on Collins Avenue to an overwhelmingly positive, public response. 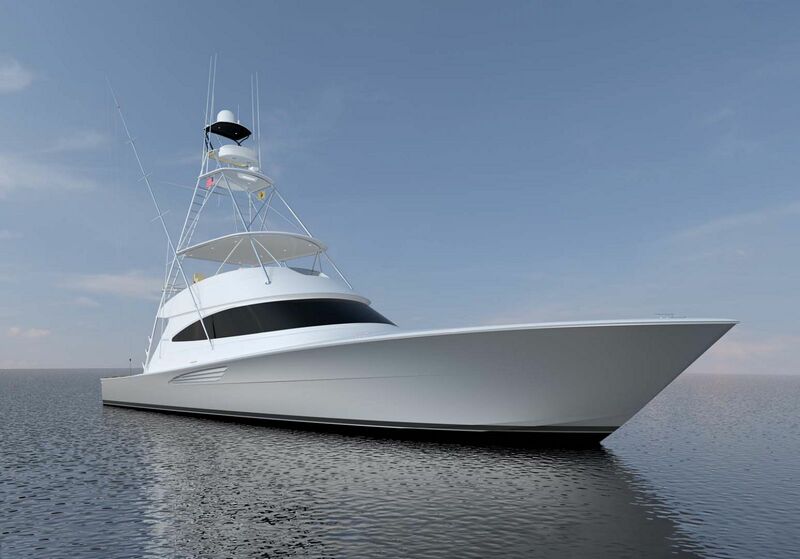 “The 68 is another legendary boat in a long line of fishing boats in the 60-foot and 70-foot range,” Viking CEO Pat Healey said in a statement about the launch of the 68C. 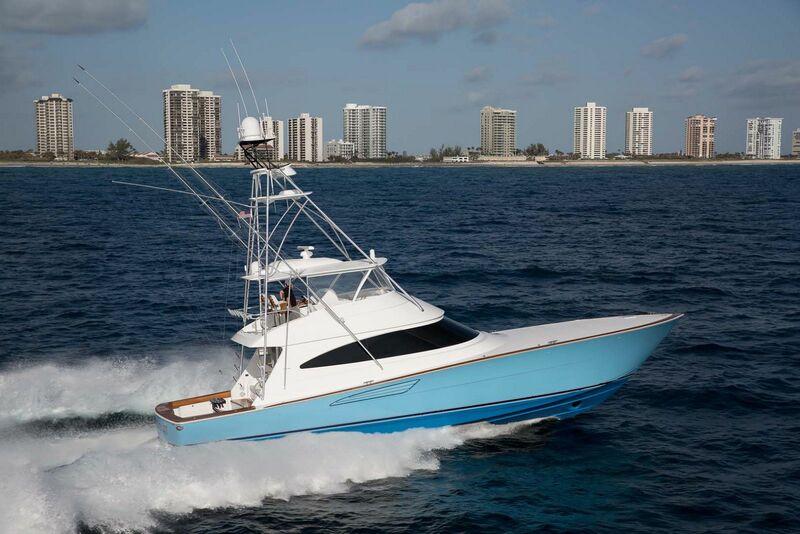 He continued, “No one is doing the job we are doing today in this size range.” Everything about the new Viking 68 screams tournament billfish angler that brought his family along for the ride. 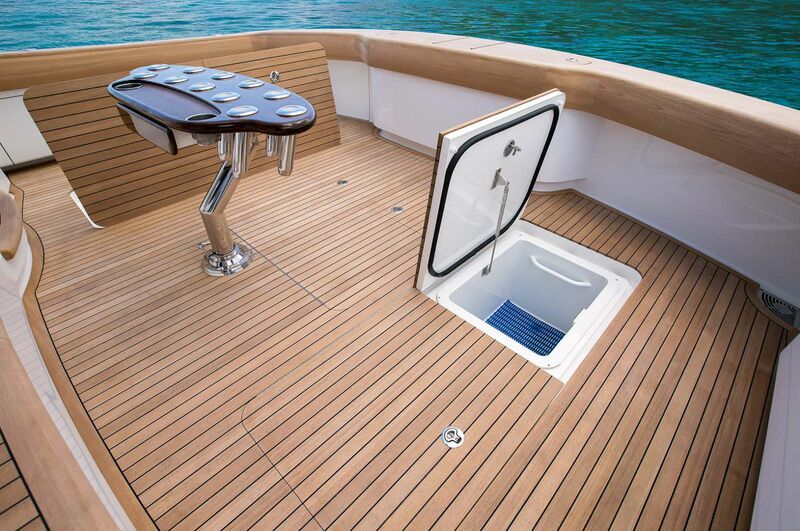 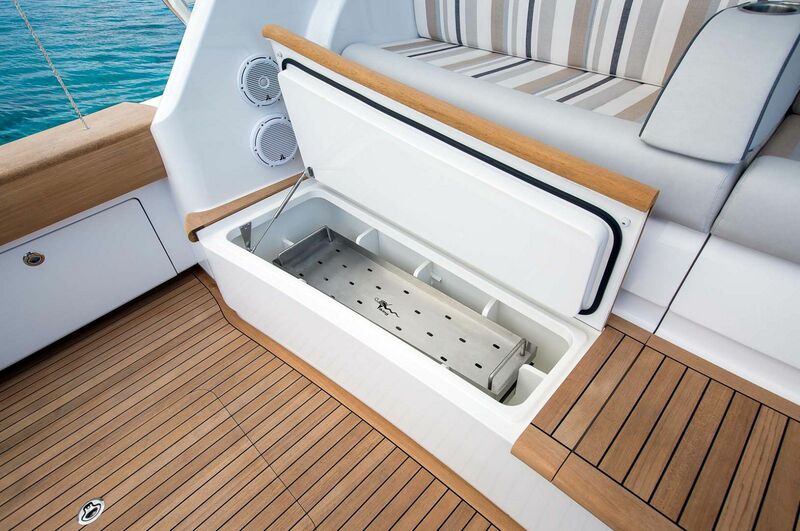 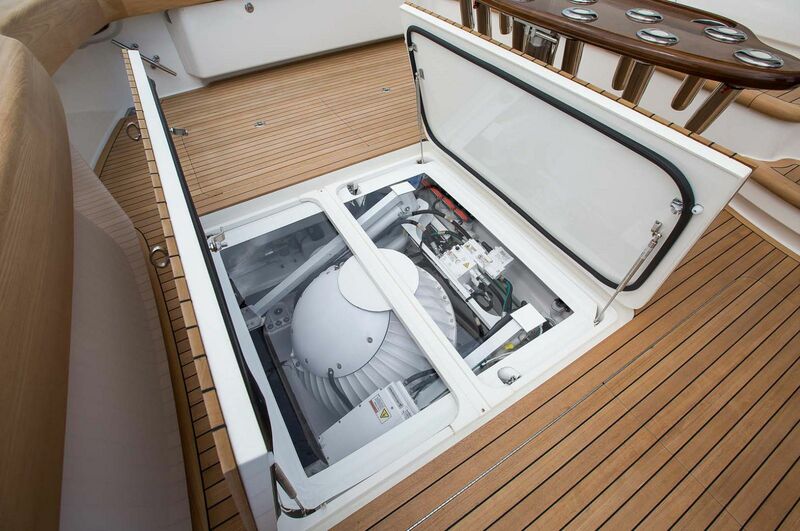 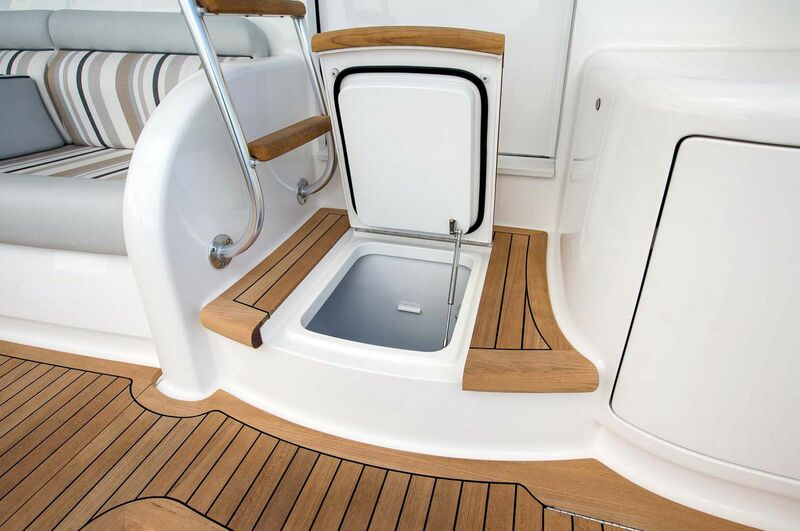 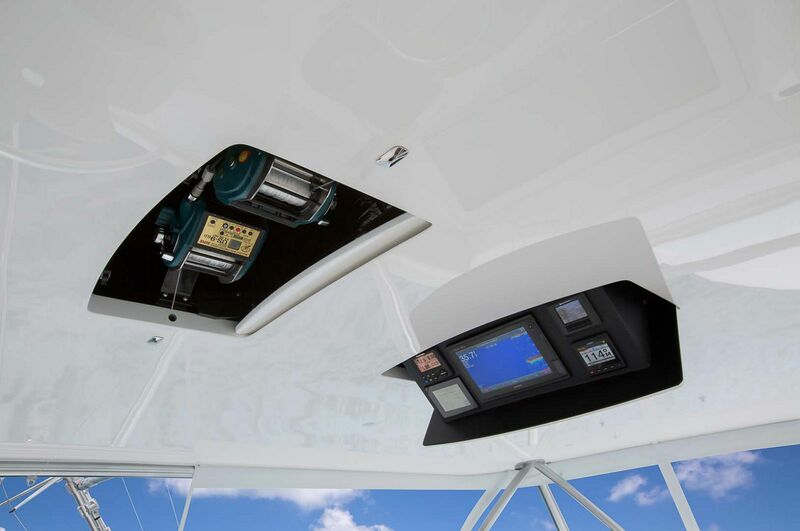 There is a space built-in to the 68 specifically for the optional Seakeeper Gyro so even in rough seas, there is little or no rocking at all. 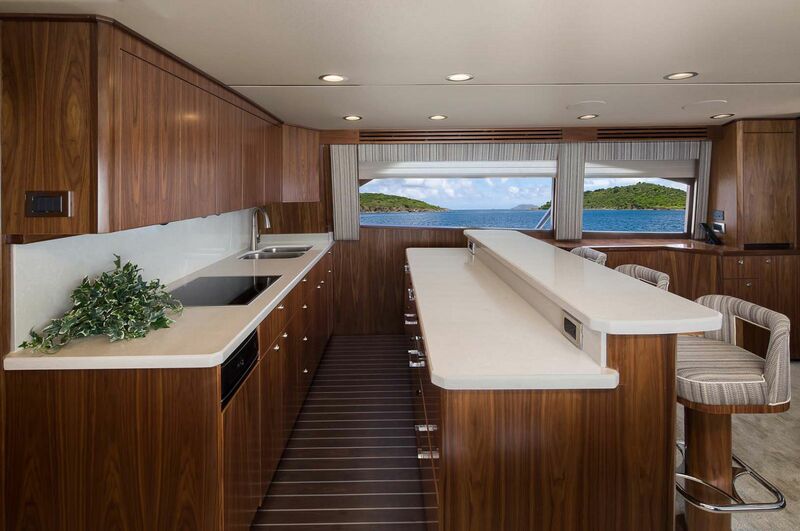 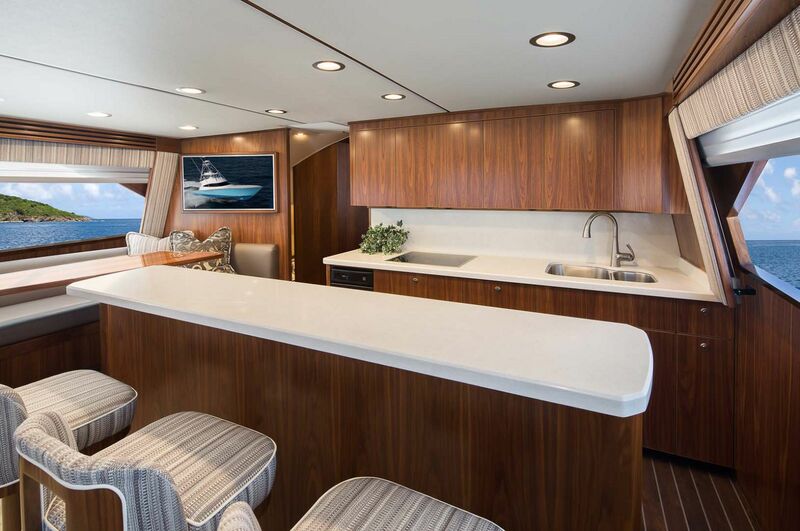 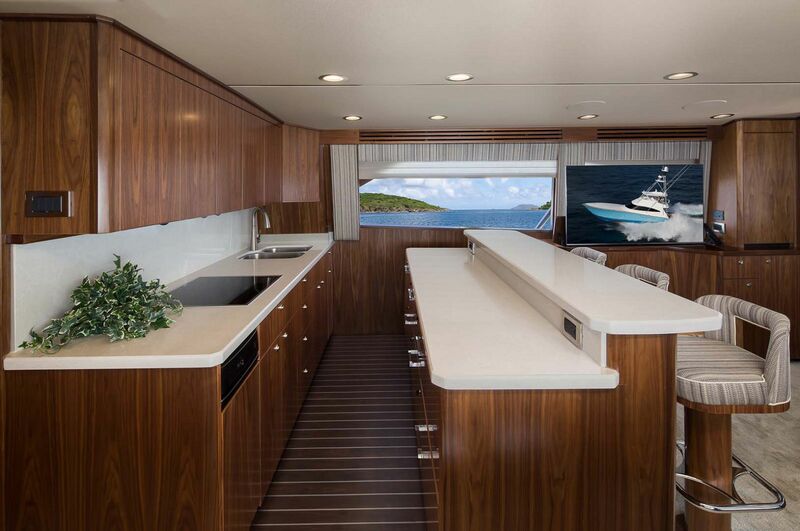 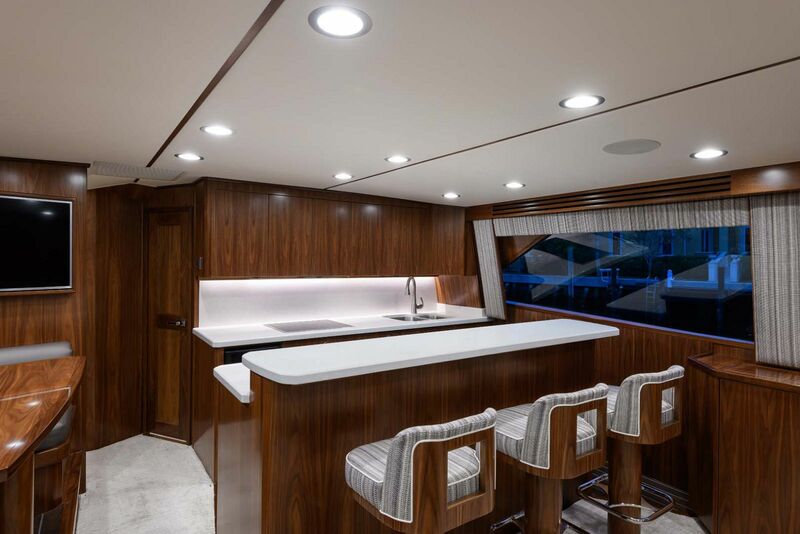 The galley on the 68 has tons of storage, Sub-Zero refrigeration hidden in the counters that include locking mechanisms so the drawers, and lots of seating both in the salon and the counter top adjacent to the galley. 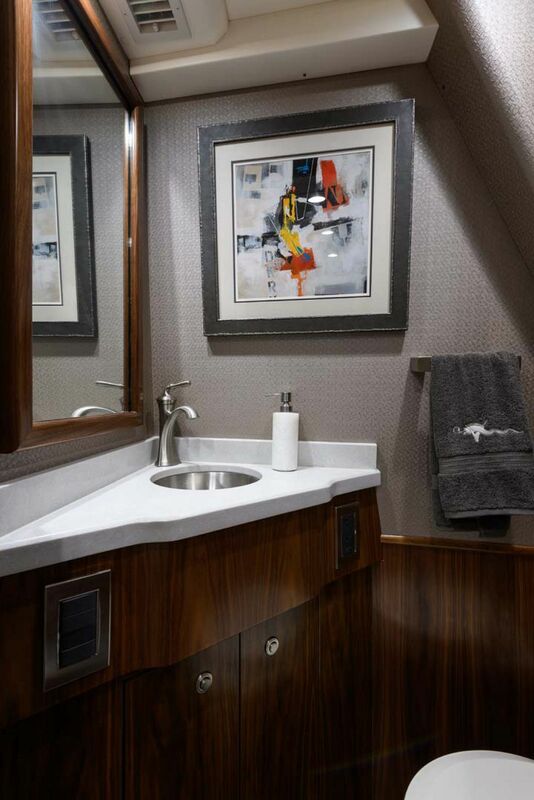 Whether fishing or cruising, Viking has added thoughtful conveniences for both lifestyles. 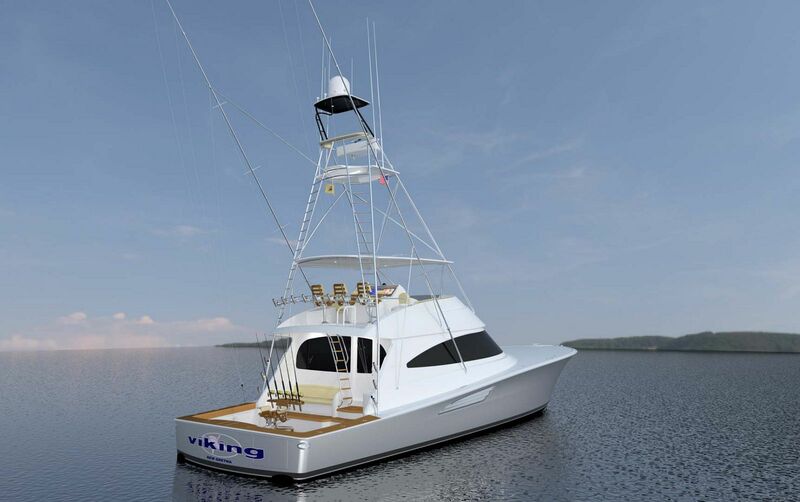 If the 68C will be your first time purchasing a Viking, we recommend you read "Your Resource Guide To Owning A New Viking Yacht." 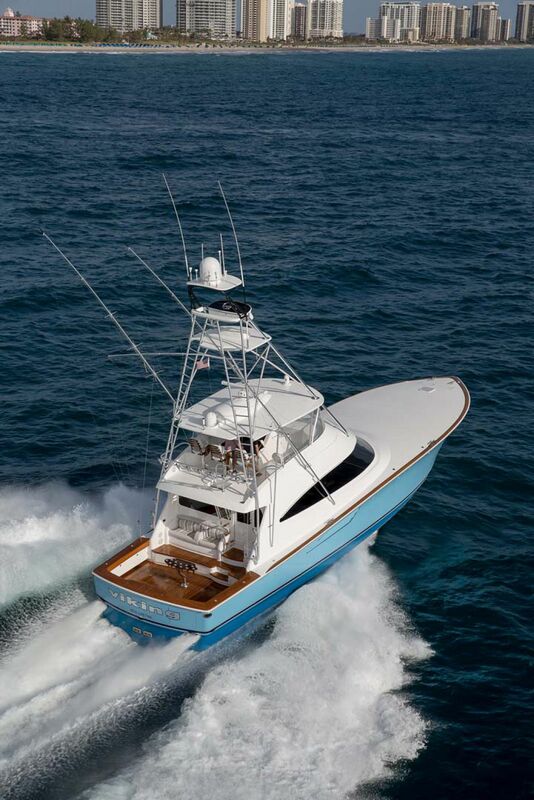 The cockpit on the 68 Convertible is possibly the greatest billfish fighting presentation on any sportfish in its class. 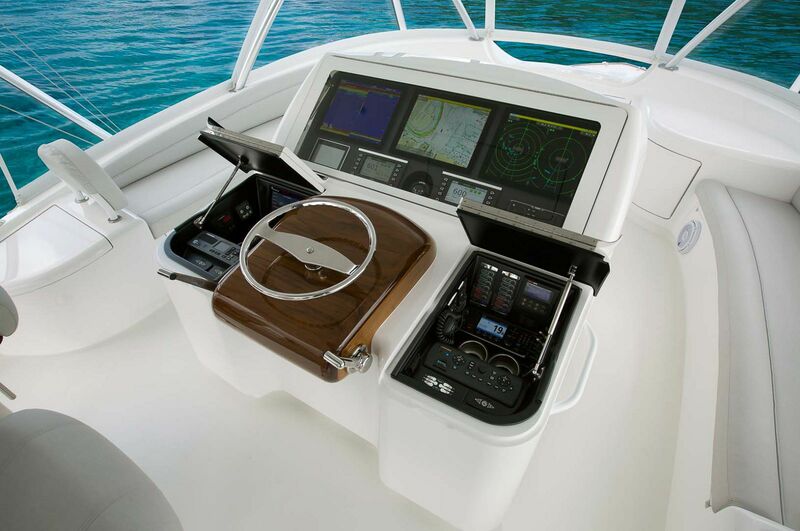 At 176 square feet, with a reinforced deck and fighting chair, a walk-thru transom door, flush rod holders, storage for tackle, a fishwell with macerator pump in the deck, and countless other compartments for hear, the Viking 68 cockpit is an angler’s dream. 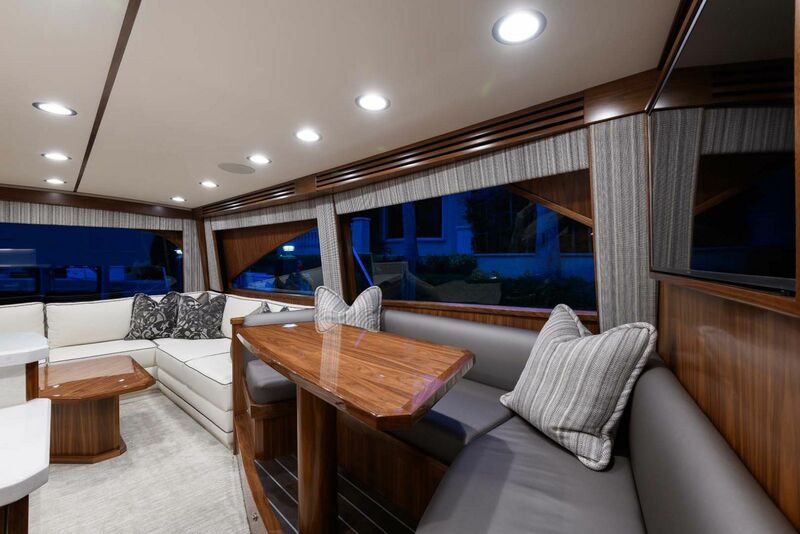 And much like a star quarterback loves the fans cheering him on; your guests can watch the action in comfort from the observation mezzanine which has Sunbrella-covered cushions and is air-conditioned. 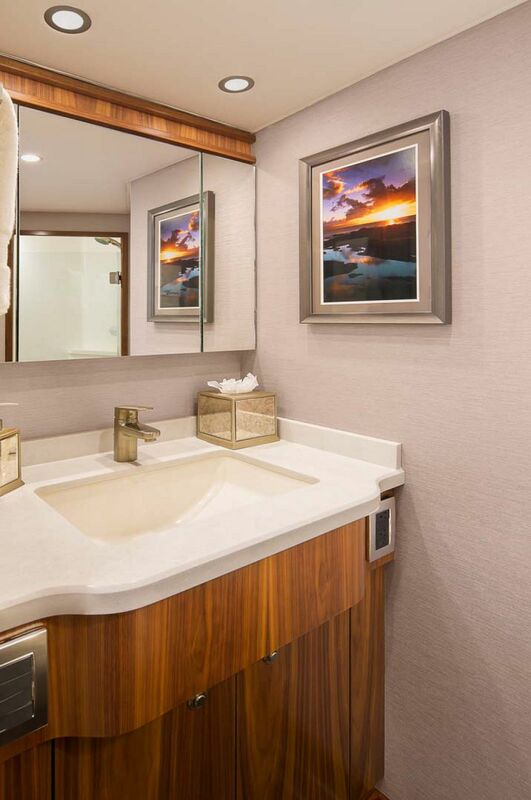 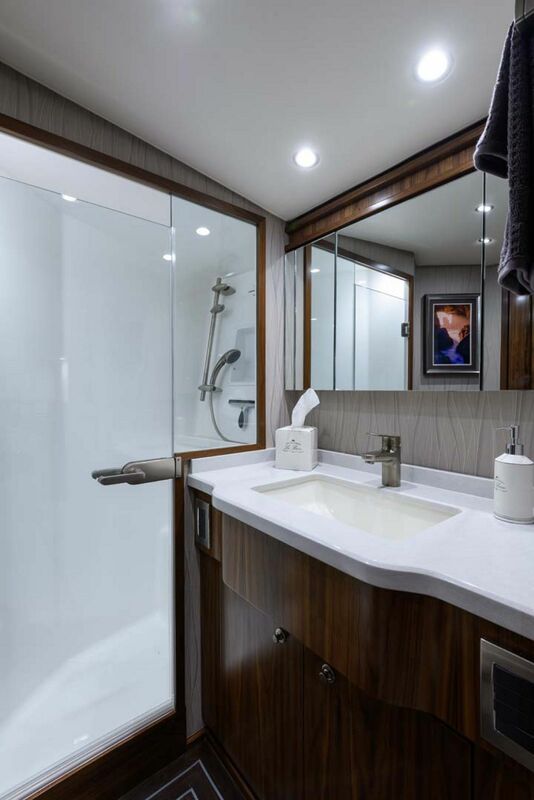 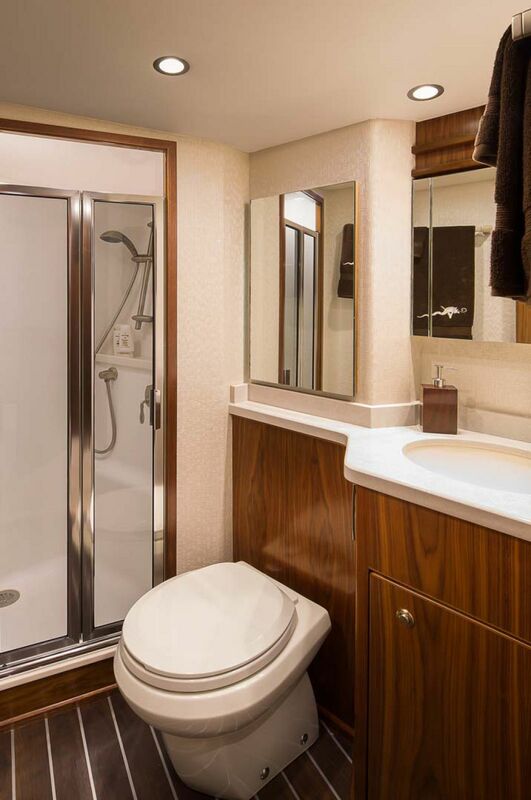 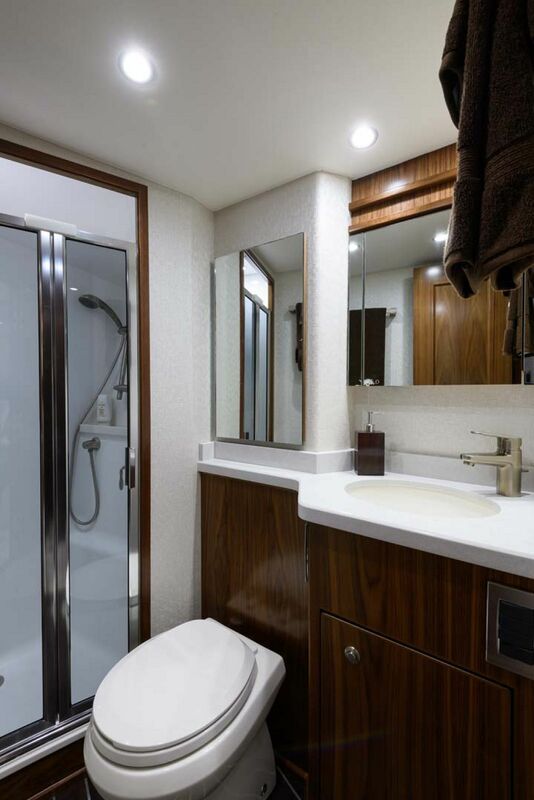 Guests on board will appreciate Viking’s standard layout that includes a private head and shower in each of the four staterooms. 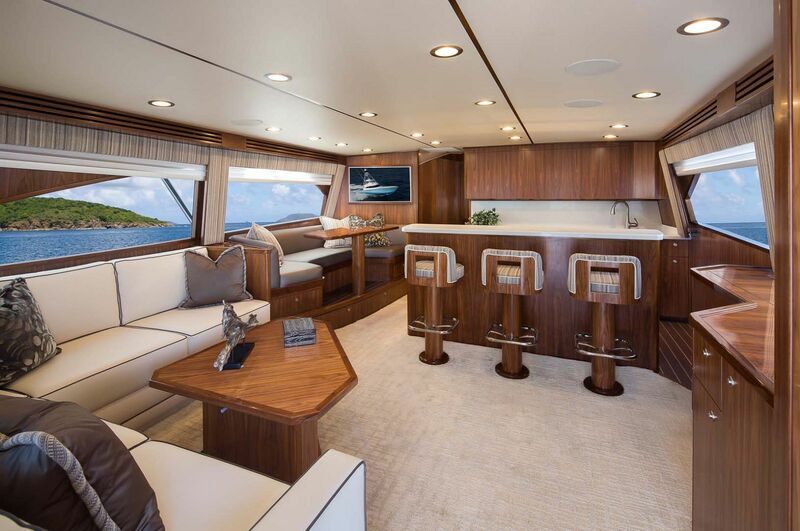 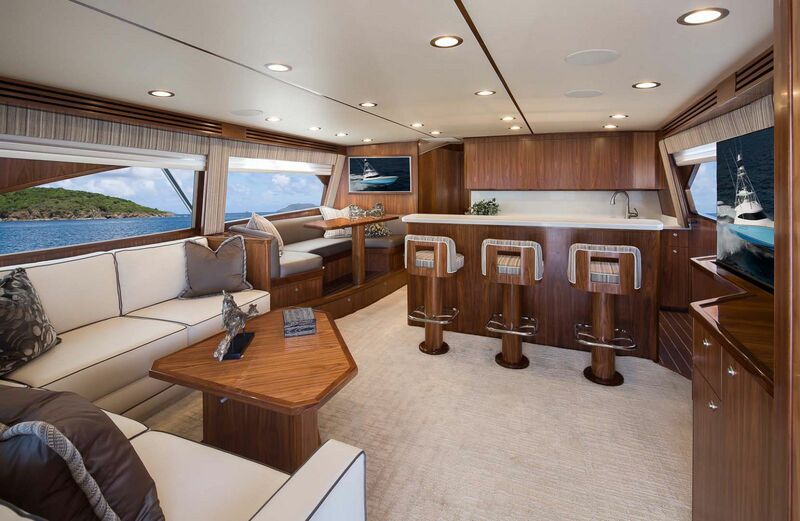 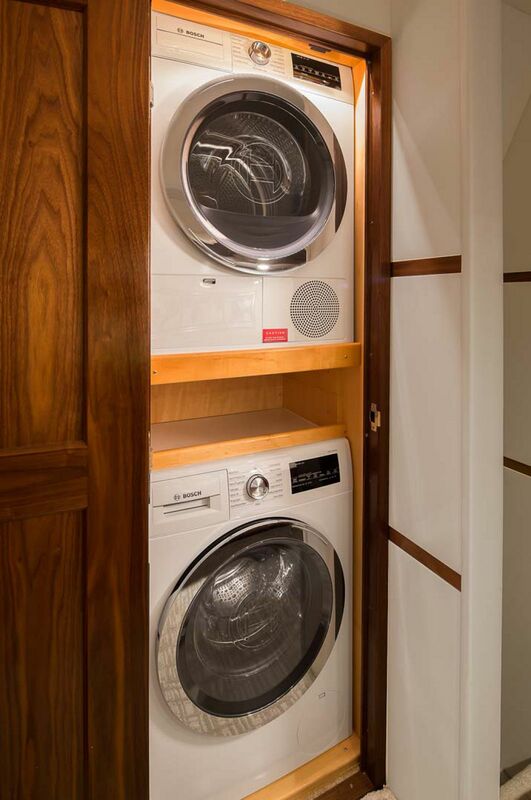 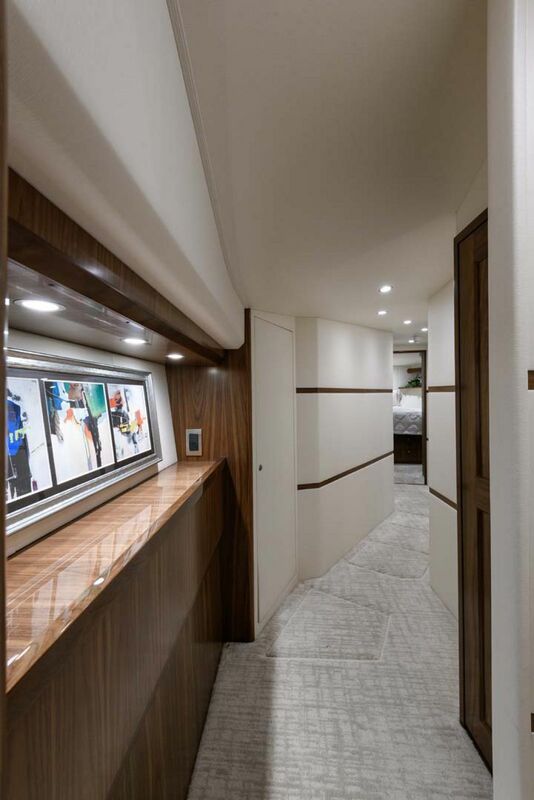 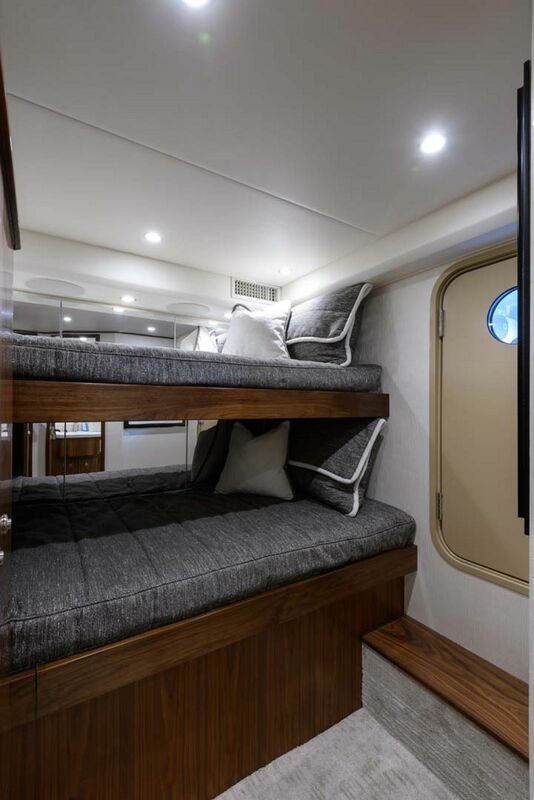 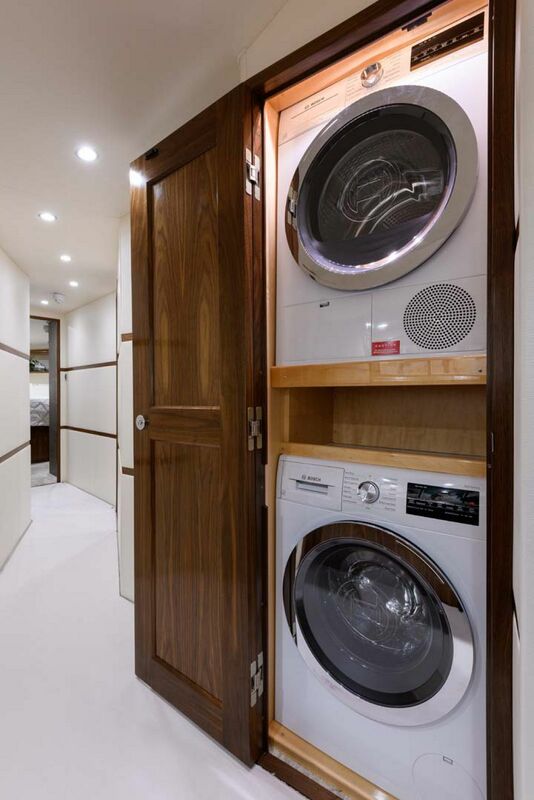 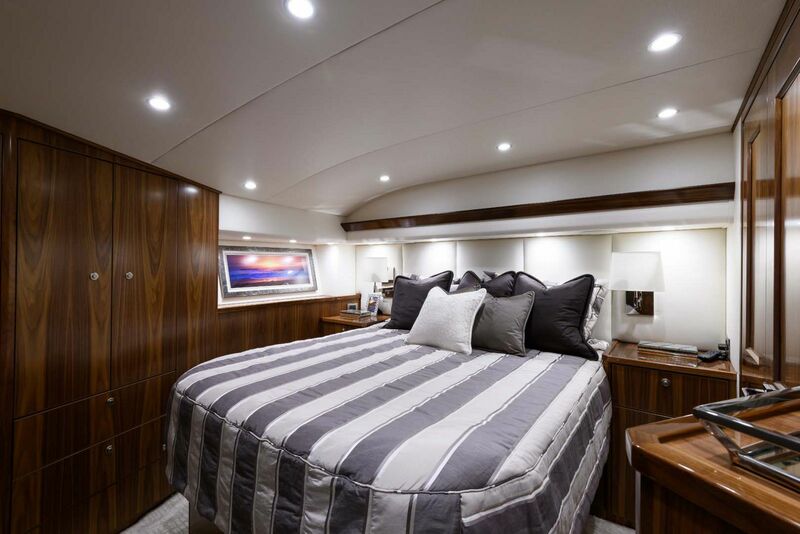 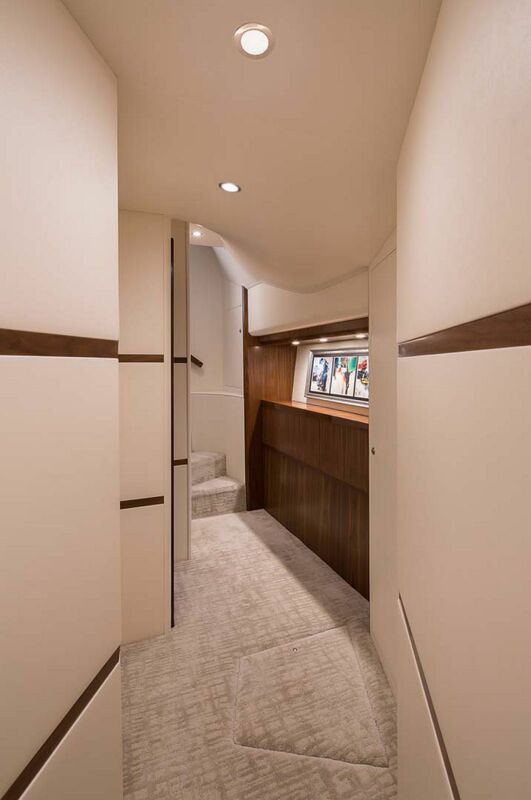 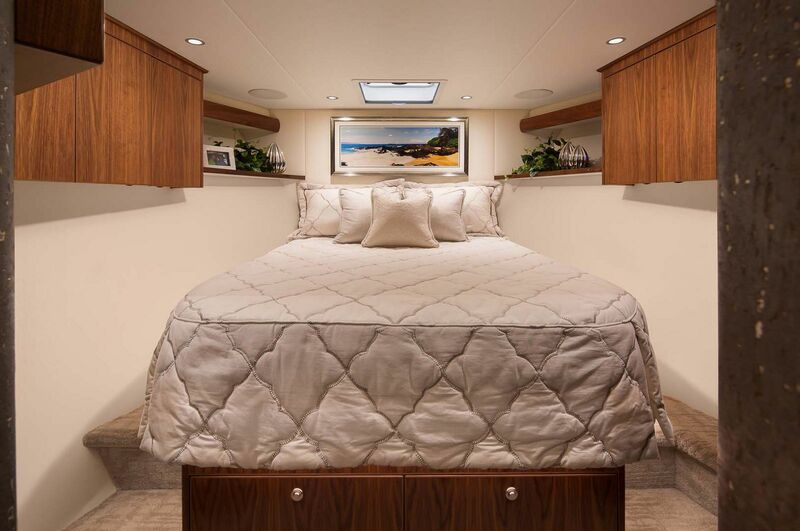 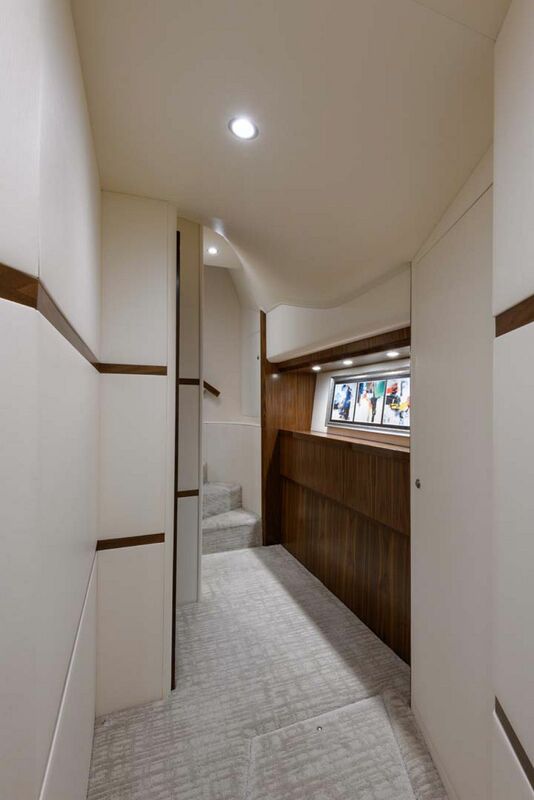 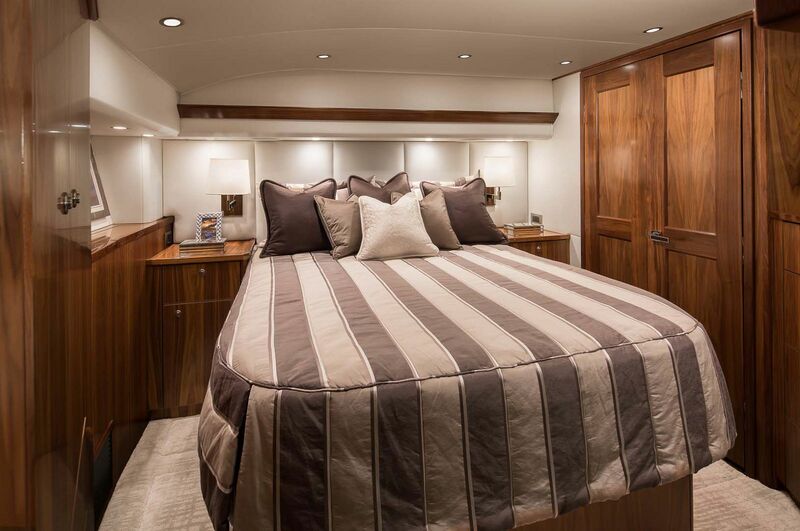 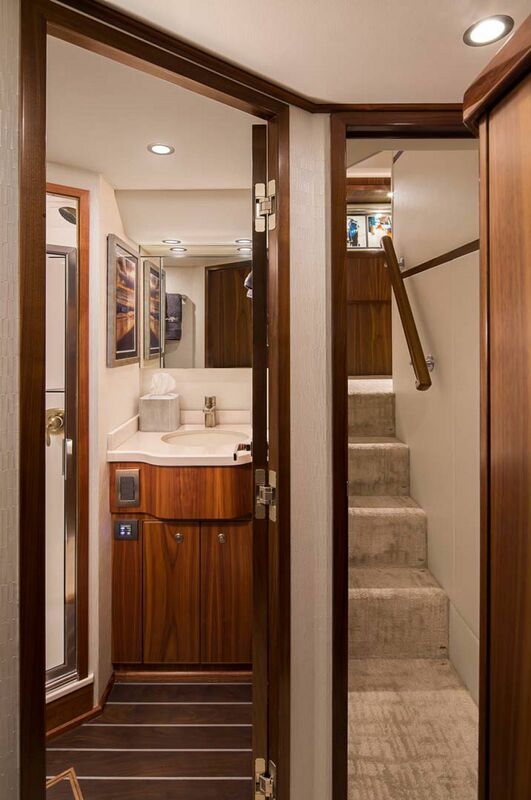 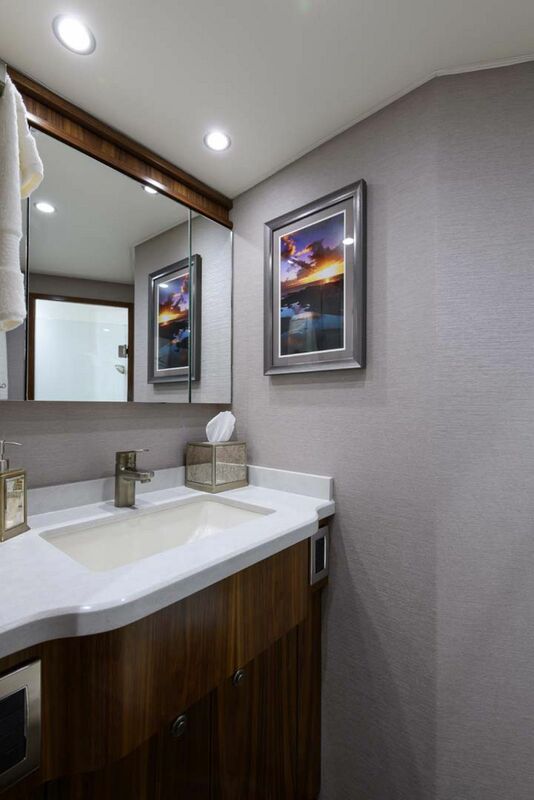 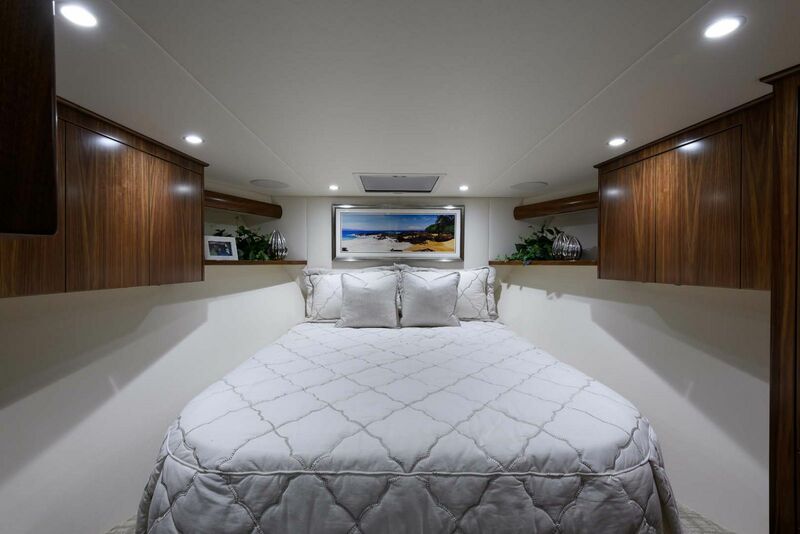 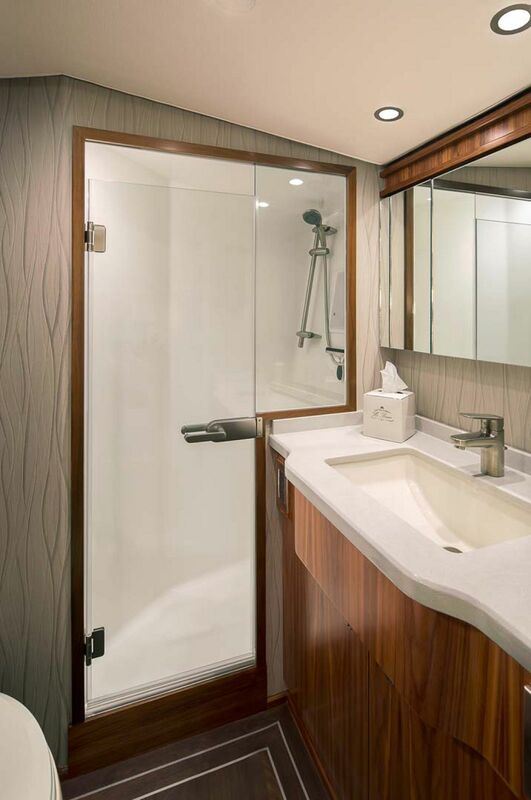 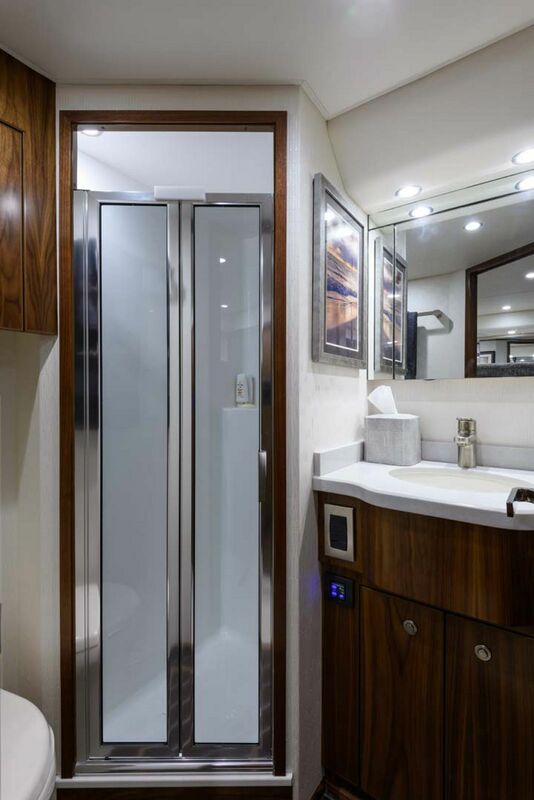 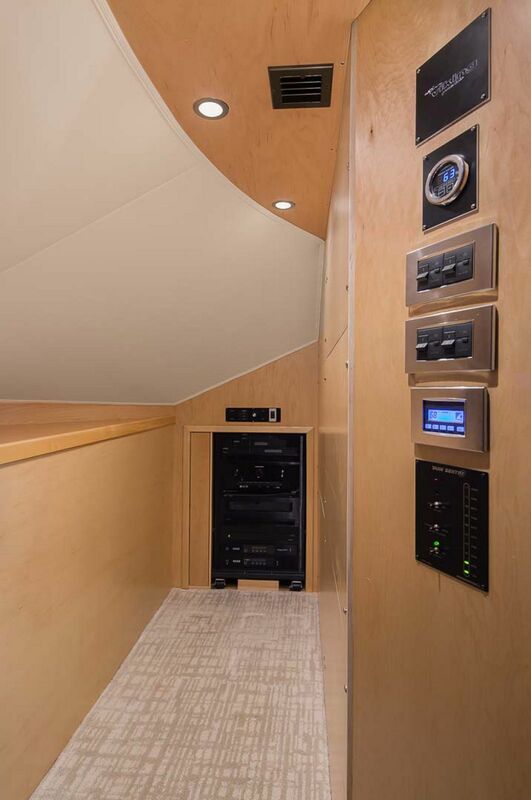 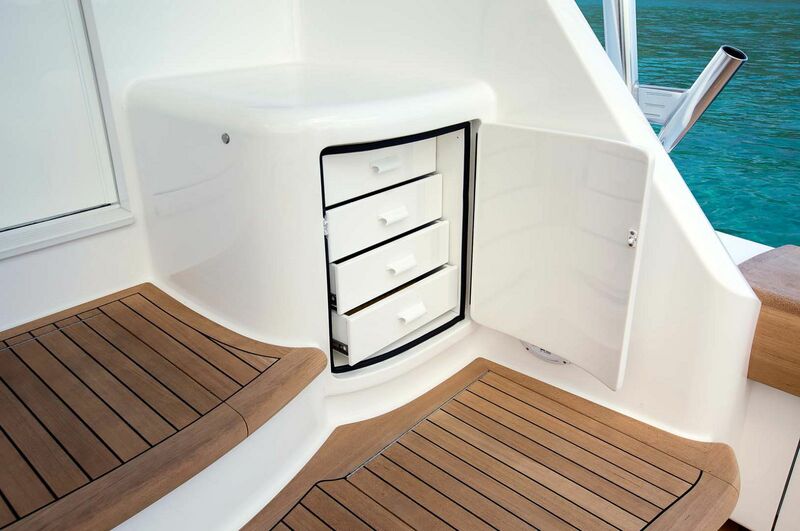 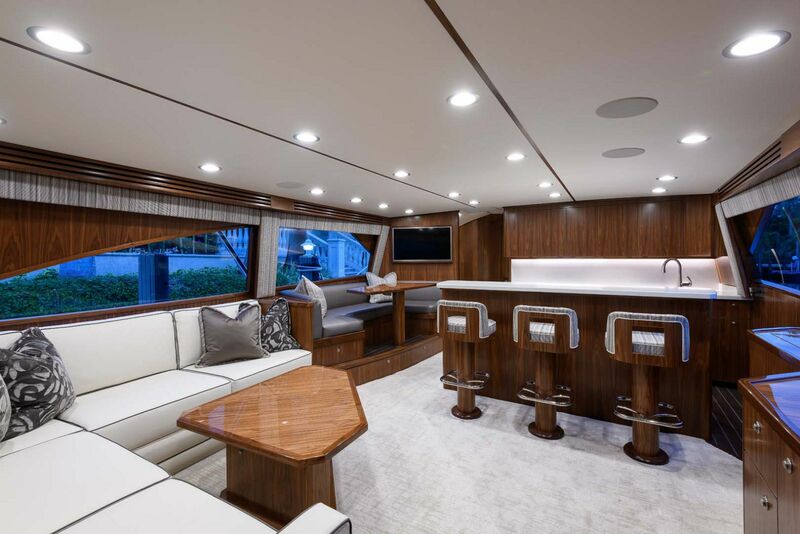 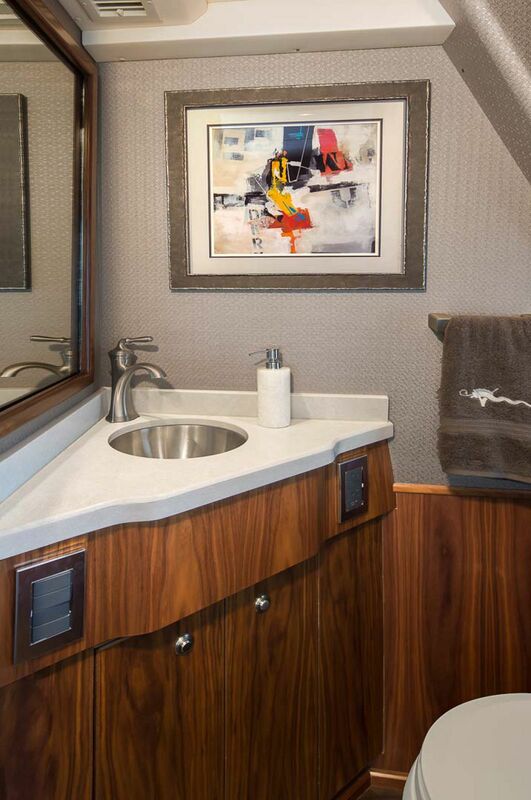 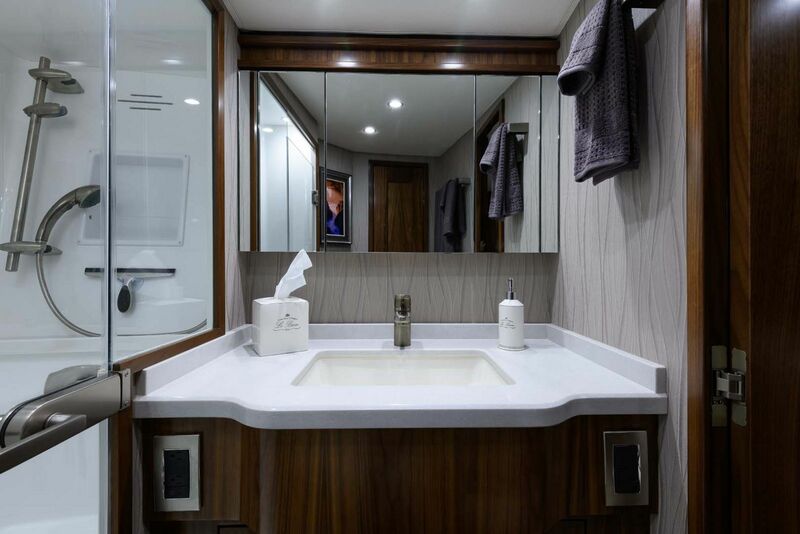 The master stateroom is placed starboard and is almost the entire beam of the boat with ample storage including hanging lockers and credenzas. 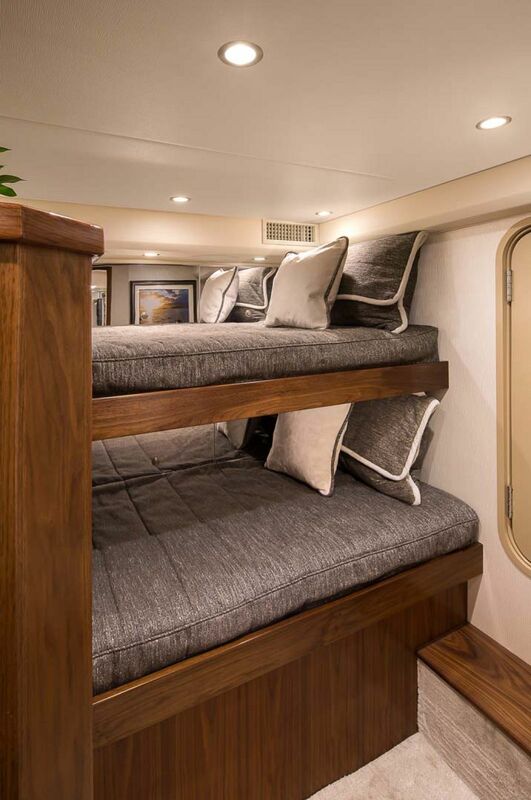 There is a queen-sized bed with enough room to walk around it completely along with a 32-inch flatscreen television. 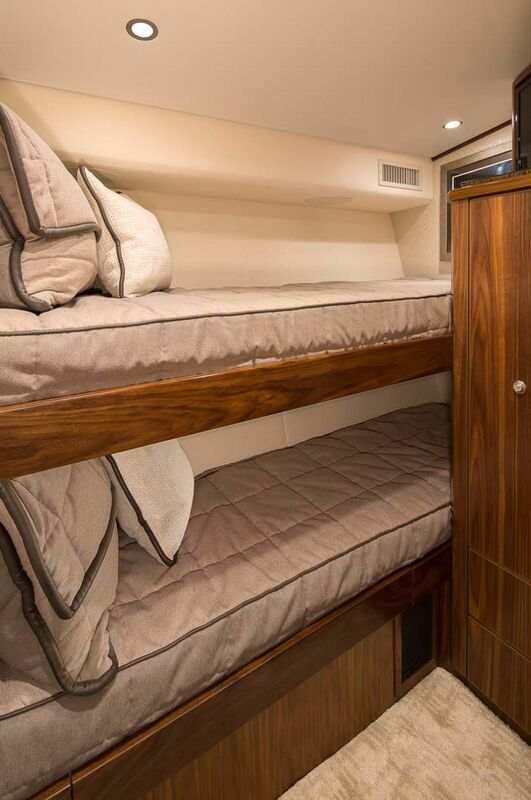 The forward stateroom also has a queen-sized bed that hides a massive storage compartment underneath the mattress. 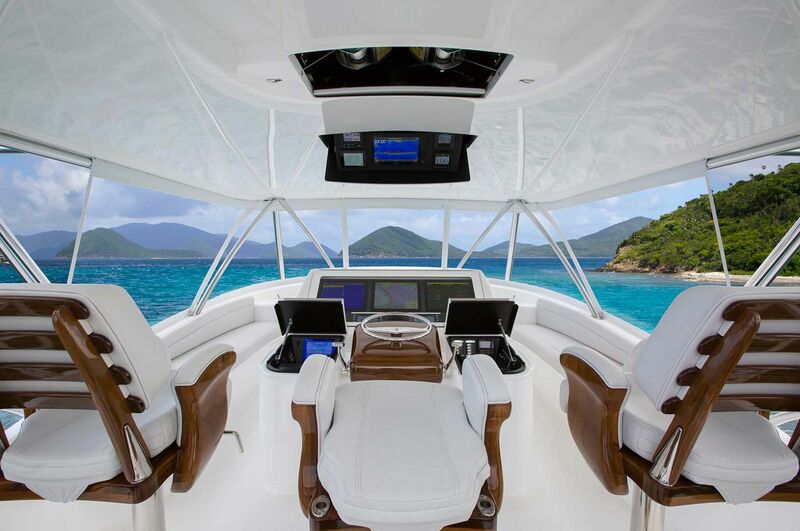 With a top-end speed approaching 40+ knots and a cruise speed over 35-knots, the Viking 68 does not disappoint when it comes to performance. 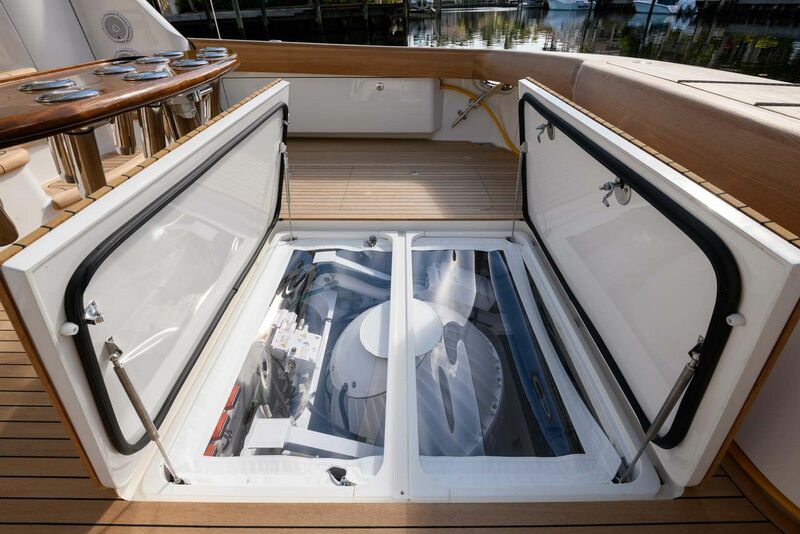 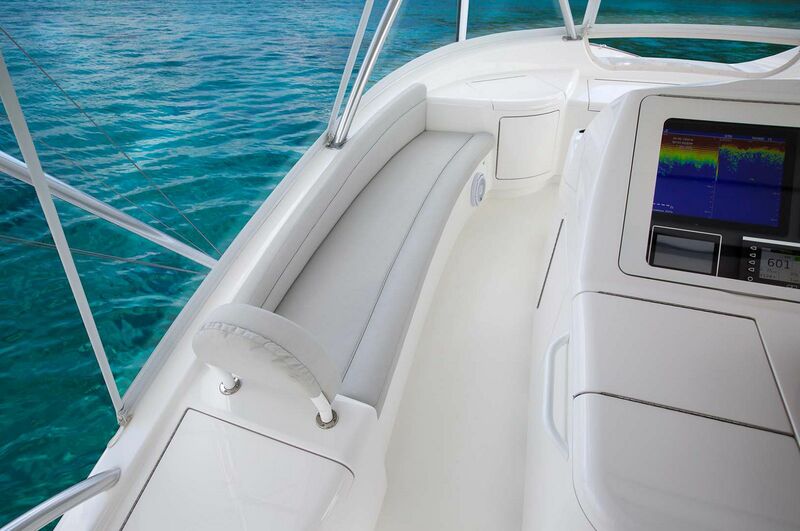 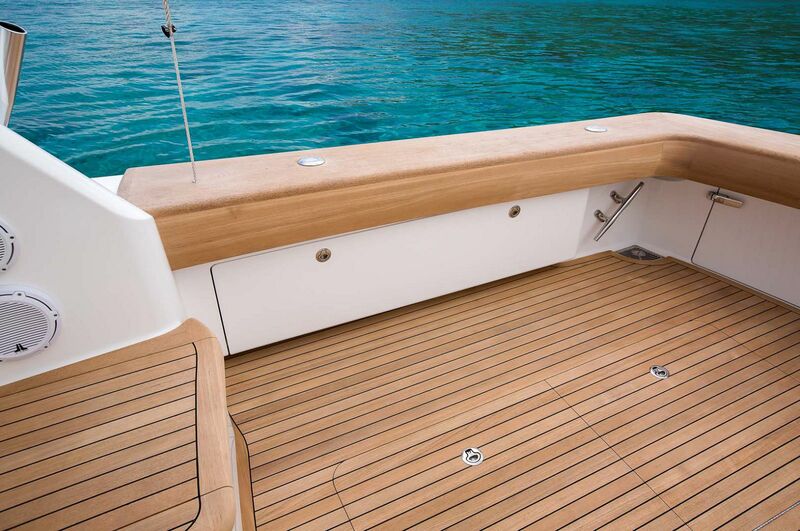 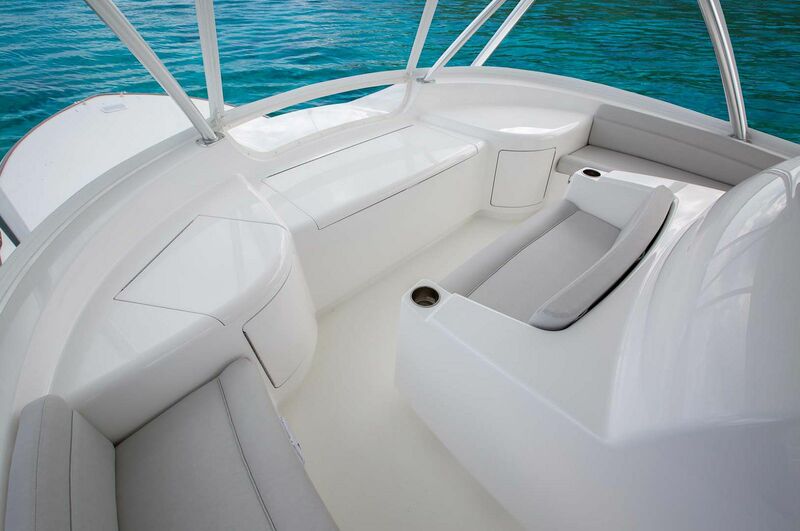 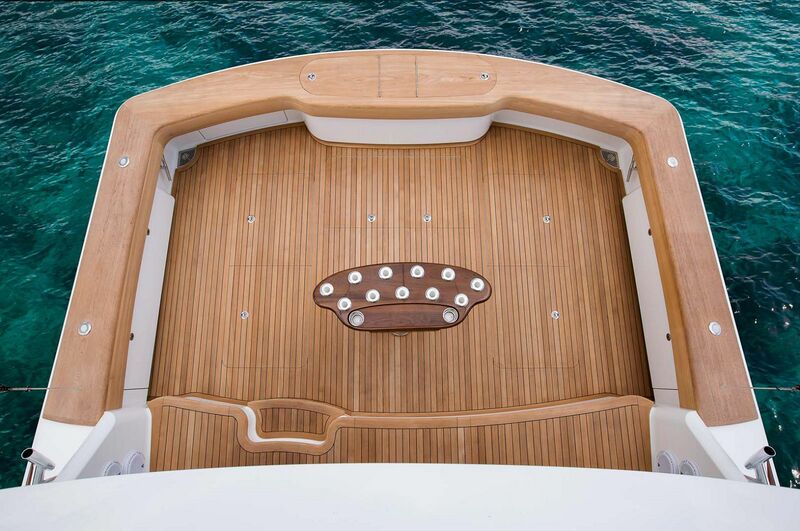 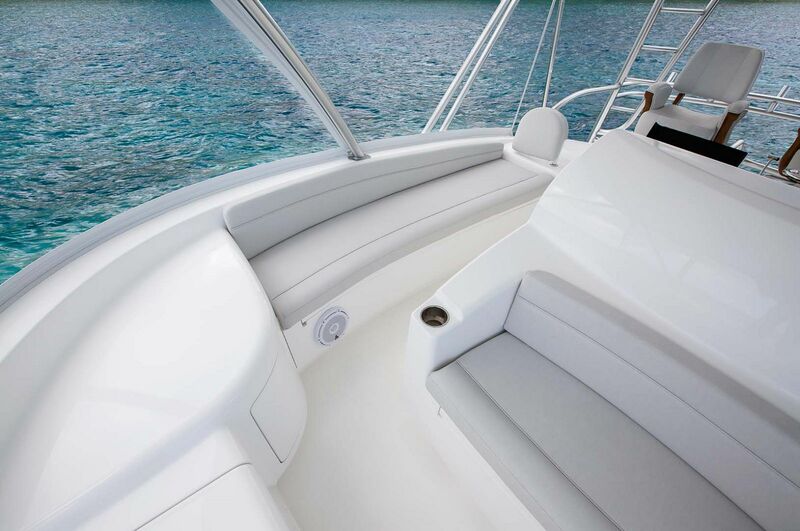 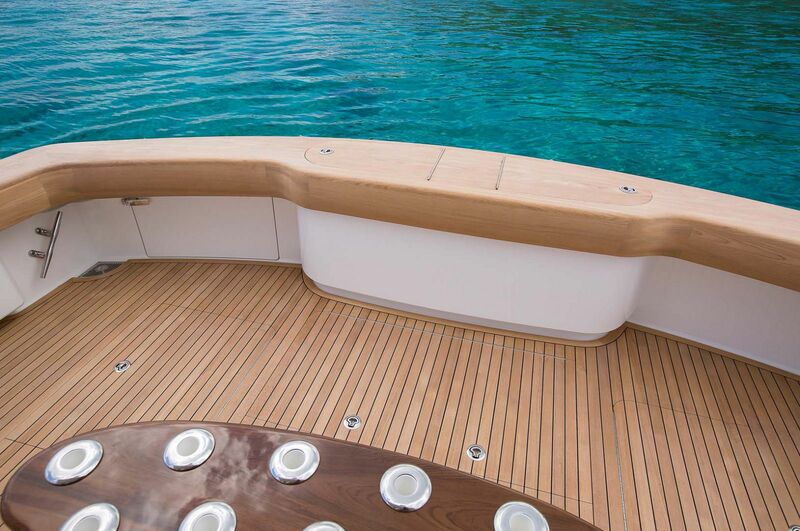 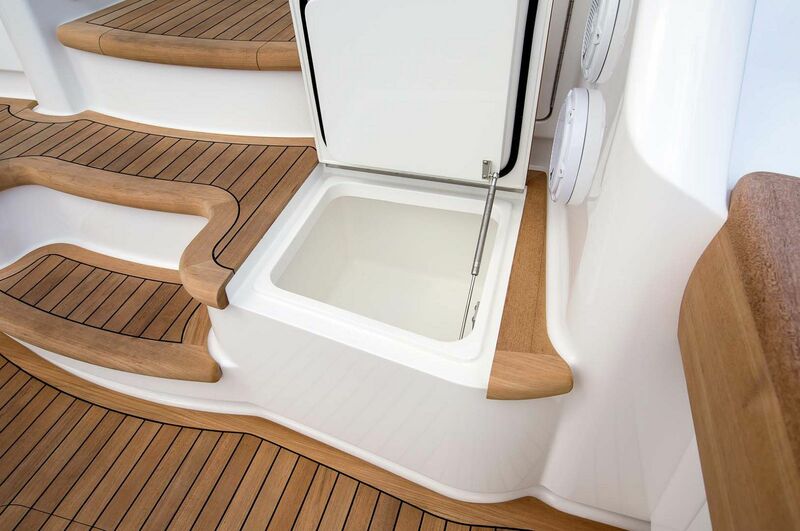 The hull shape has a 12.1-degree transom deadrise which helps to deliver a soft ride, even in rough seas. 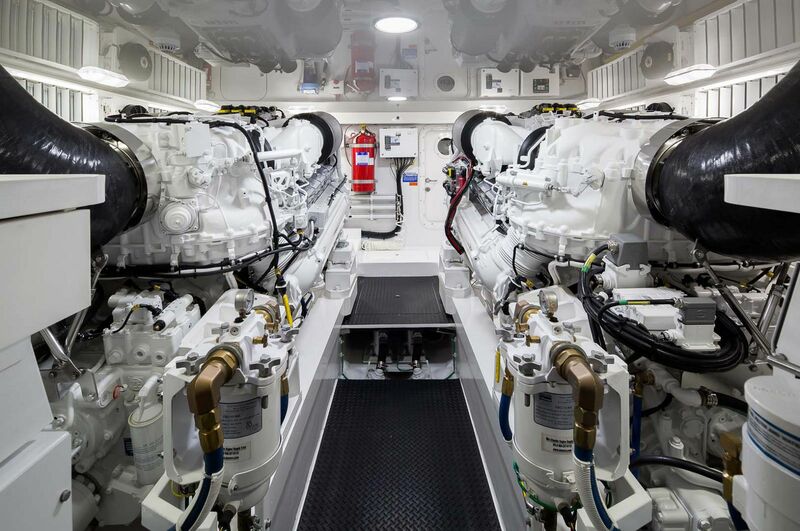 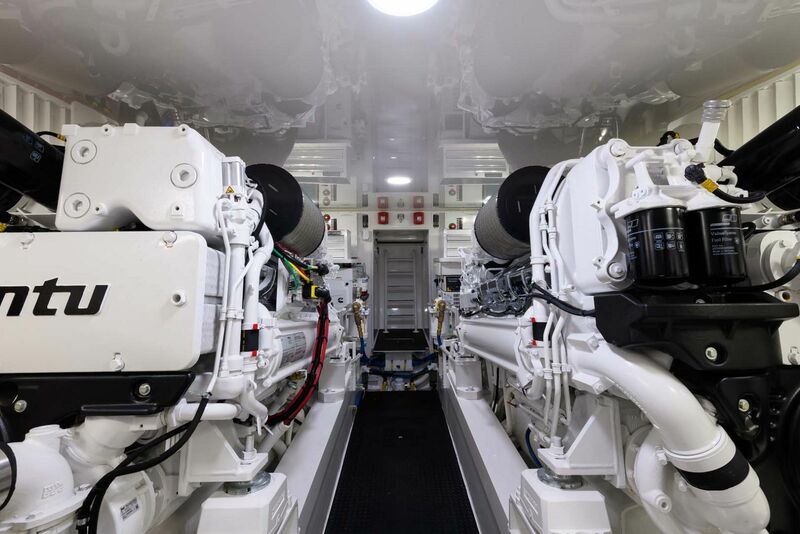 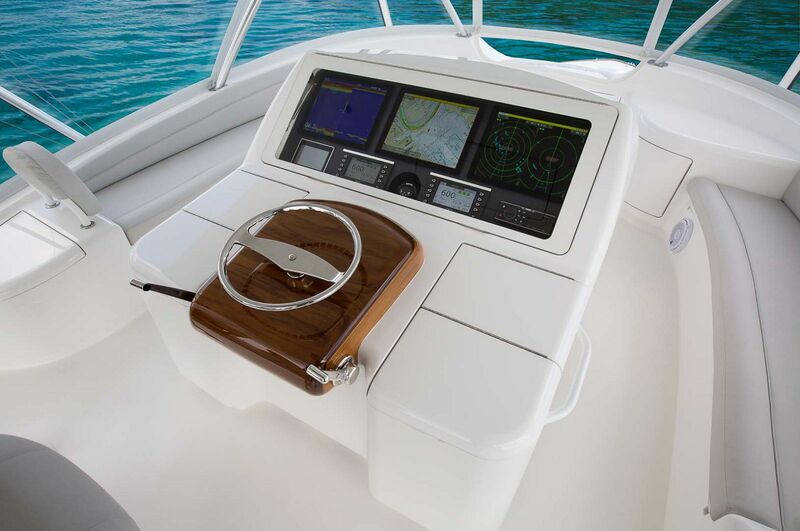 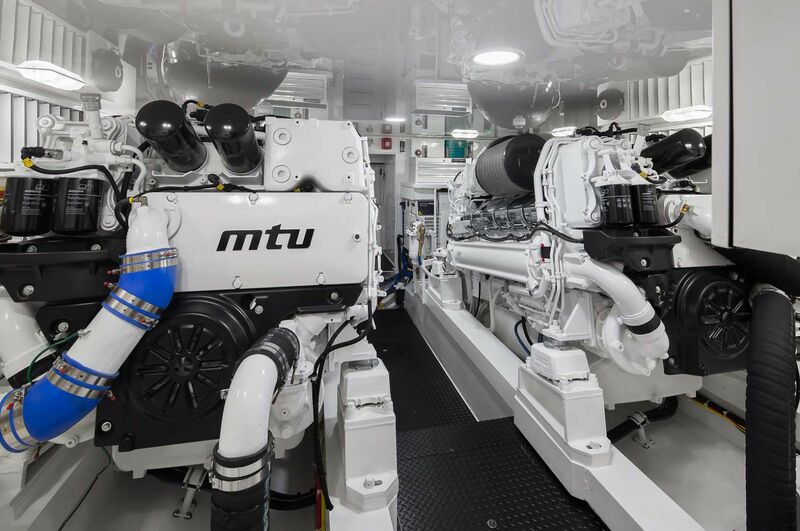 When the optional twin 1954hp MTU Series 2000 V12 M96L inboards are added, she can hit 46 knots with ease. 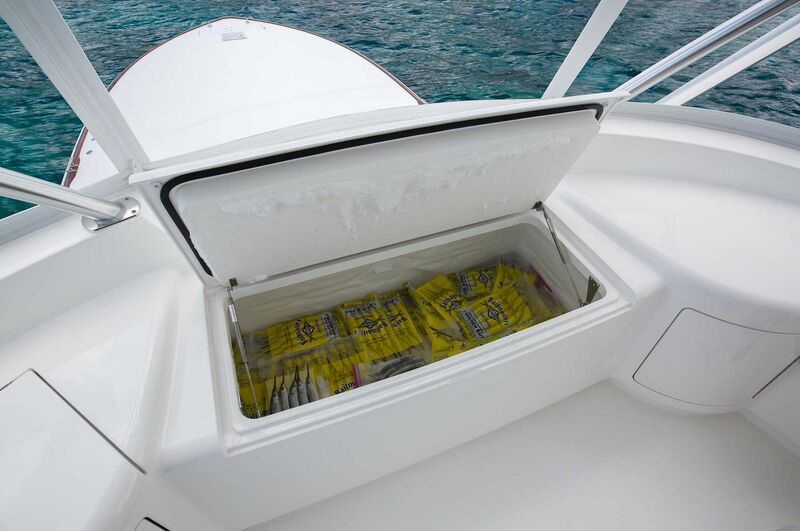 Even the fuel capacity can be increased to over 2,400 gallons for the extended fishing journeys. 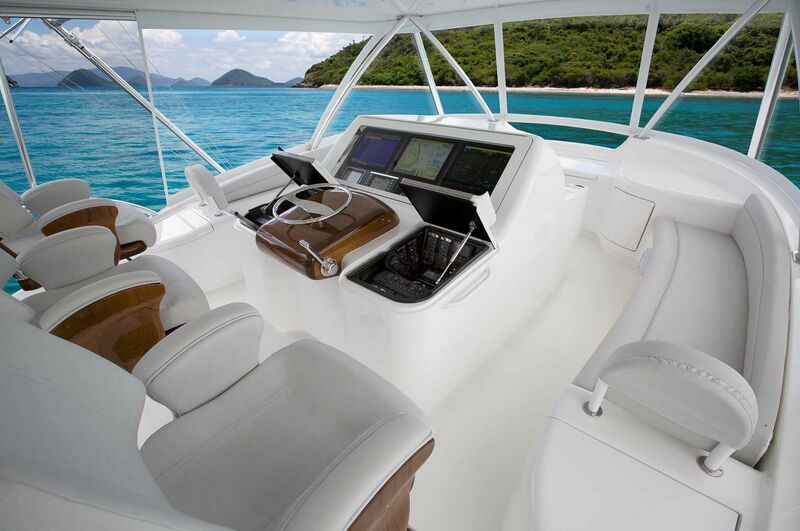 Contact your Staten Island Sales Professional today to schedule your tour of the new Viking Yachts 68 Convertible. 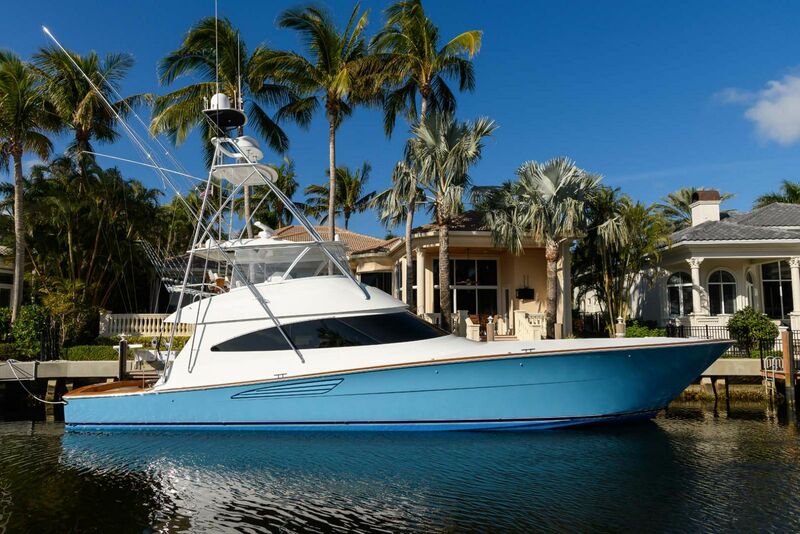 Viking Yachts official trailer video released on the 68 Convertible. 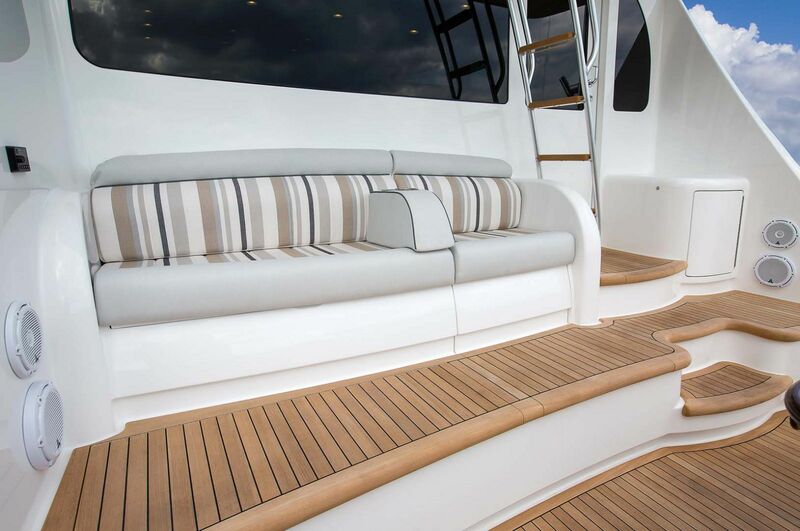 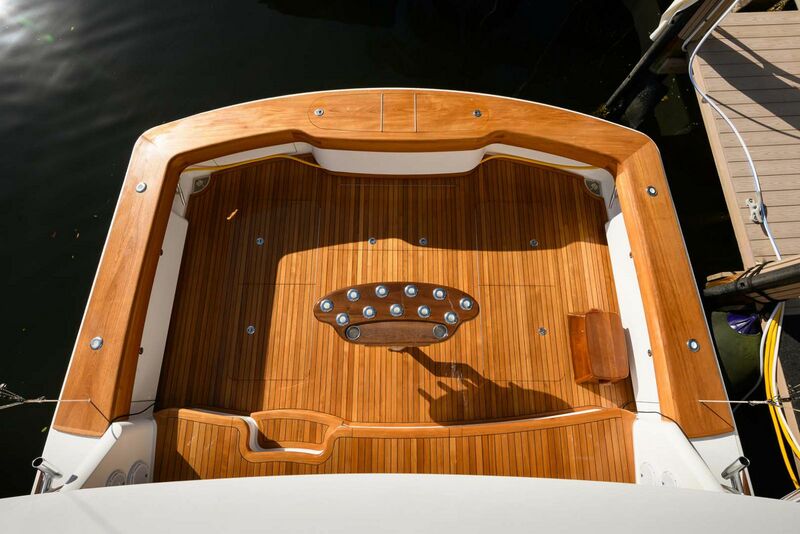 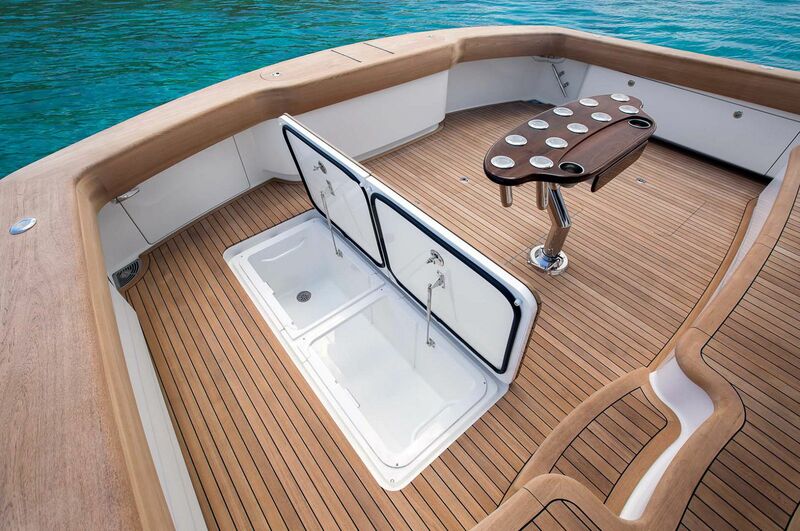 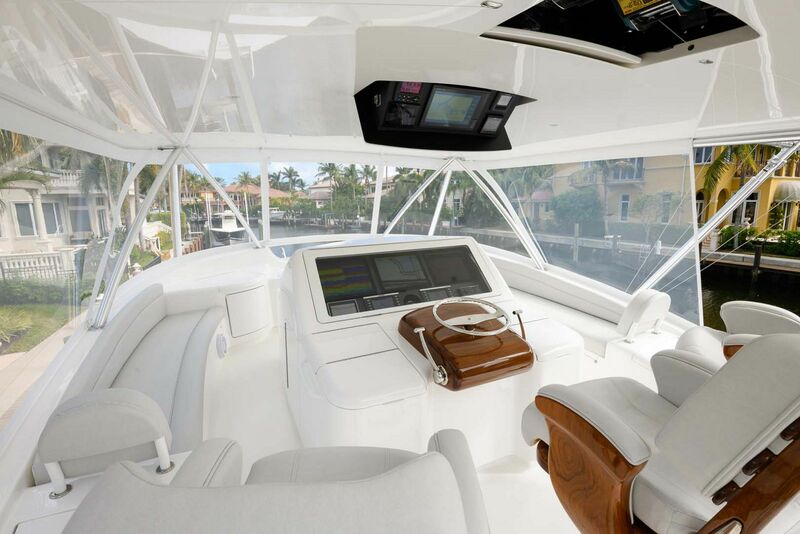 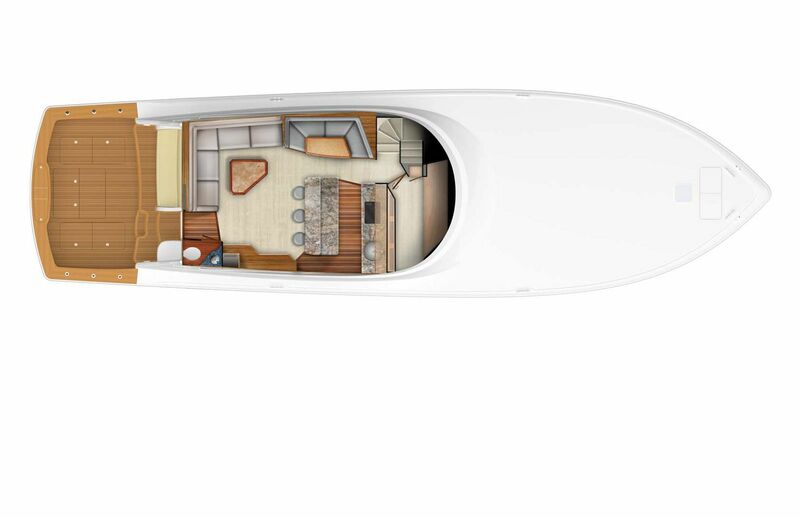 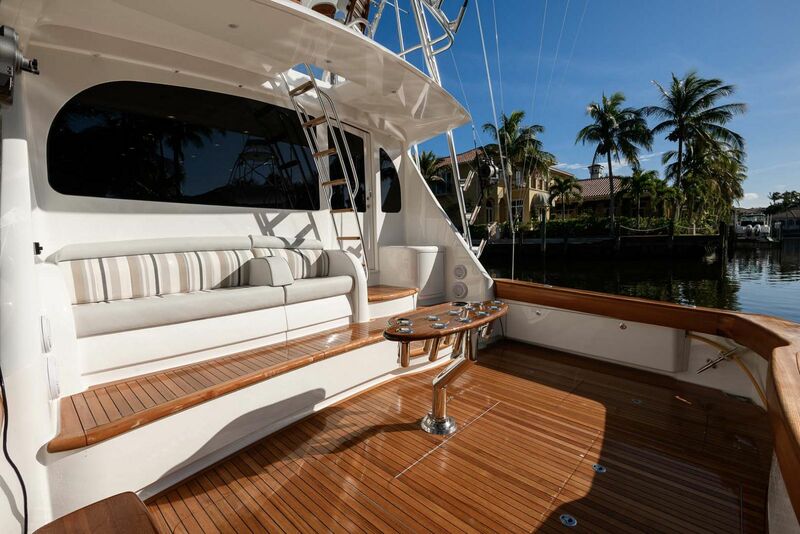 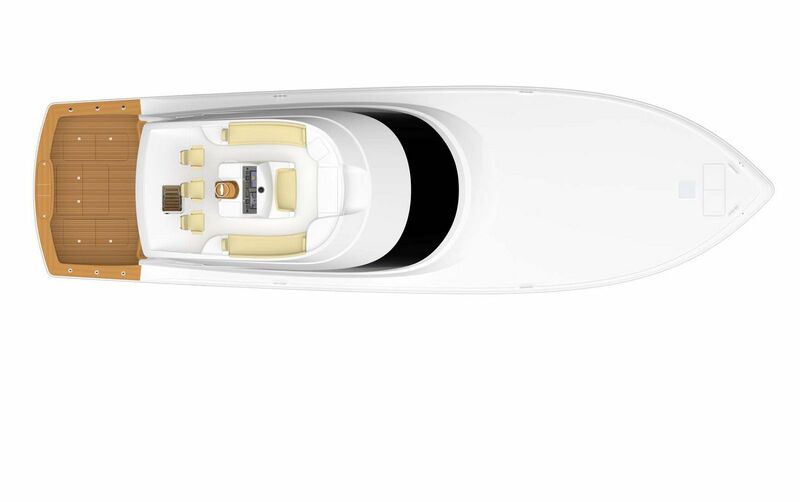 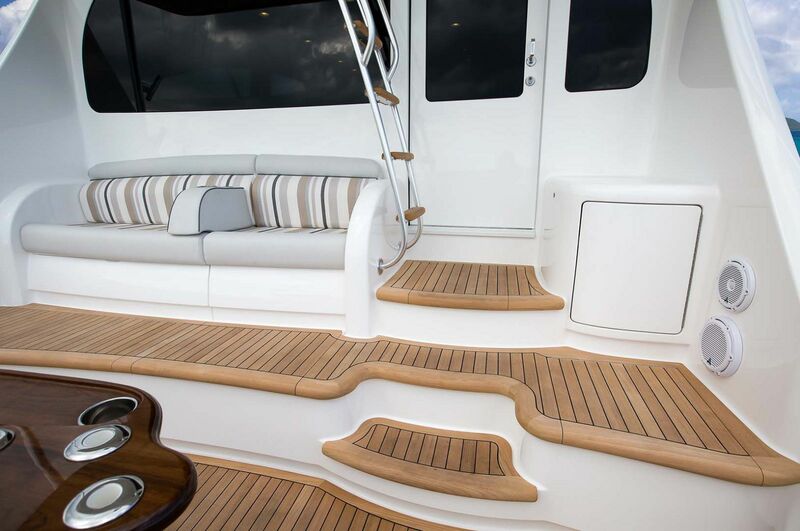 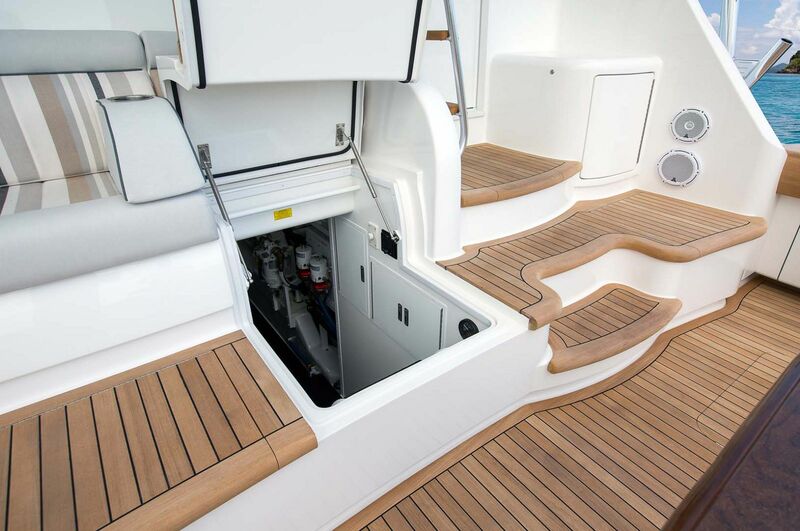 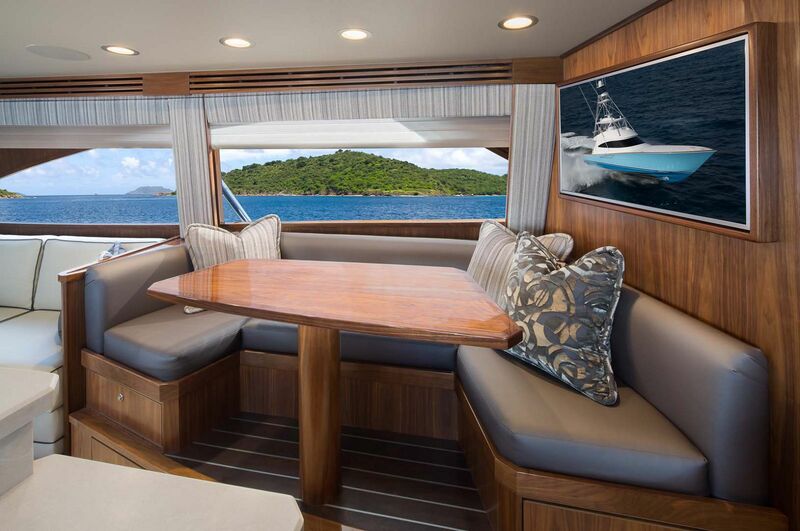 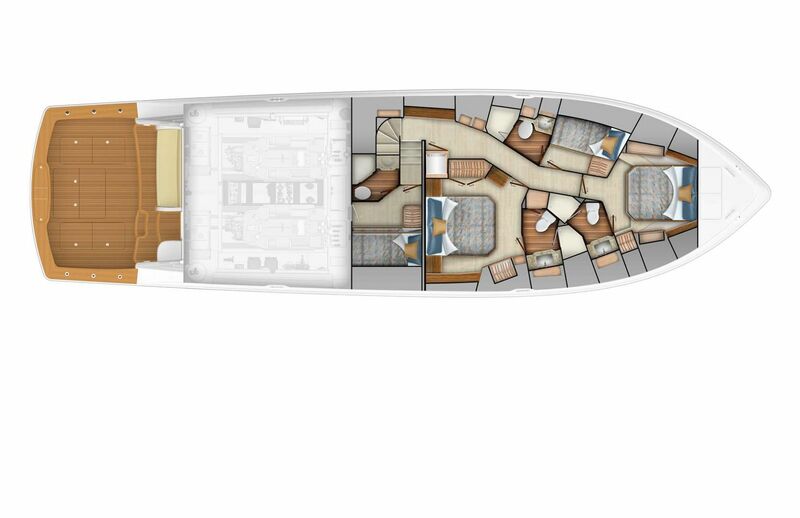 Viking Yachts has put together a virtual tour of the 68C.